Copernicus Publications recently launched its full-text HTML workflow and optimized the BG website for mobile devices. Thereby, the user experience is significantly enhanced when reading BG articles. 05 Jul 2018 Press Release: Oxygen loss in the coastal Baltic Sea is "unprecedentedly severe"
The Baltic Sea is home to some of the world's largest dead zones, areas of oxygen-starved waters where most marine animals can't survive. But while parts of this sea have long suffered from low oxygen levels, a new study by a team in Finland and Germany shows that oxygen loss in coastal areas over the past century is unprecedented in the last 1500 years. The research is published today in BG. BG has taken several measures in the hope of shortening the time from submission to final acceptance of a manuscript by a month. From 1 January 2018 Biogeosciences (BG) will slightly increase the article processing charges. In the past decades, large areas of forest in Sumatra, Indonesia have been replaced by cash crops like oil palm and rubber plantations. New research, published in BG, shows that these changes in land use increase temperatures in the region. The added warming could affect plants and animals and make parts of the country more vulnerable to wildfires. Jürgen Kesselmeier recently stepped down from his position as co-editor-in-chief of Biogeosciences. Please read BG's farewell message. In the first ecosystem-wide study of changing sea depths at five large coral reef tracts researchers found the sea floor is eroding in all five places, and the reefs cannot keep pace with sea level rise. As a result, coastal communities protected by the reefs are facing increased risks from storms, waves and erosion. The study, by the US Geological Survey (USGS), is published today in Biogeosciences. Recently the EGU and Copernicus have become aware of a case of scientific malpractice by an editor of two EGU journals (SOIL and SE) who used the position as editor and reviewer to disproportionately promote citations to personal papers and associated journals. Please read the announcement by EGU and Copernicus. The co-editors-in-chief are delighted to announce that Biogeosciences (BG) has received its Impact Factor for 2015. Swiss and German researchers have analysed Burgundy truffles collected in central Europe and found they contain only negligible amounts of radioactive caesium, being safe for consumption. After more than 10 years of serving Biogeosciences and the scientific community, Albrecht Neftel has stepped down from his function as editor-in-chief. We have summarized the upcoming changes to BG by the end of the year. In cooperation with the TIB|AV-Portal BG authors can now add short, citable video abstracts and video supplements to their articles. From January 2016 onwards, BG will see changes to the way papers are archived and paid for. Biogeosciences has significantly reduced the number of editor calls, which will reduce the maximum time from submission to initial decision. Hair ice is remarkable: it has the shape of fine, silky hairs and resembles white candy floss. Now, a team of scientists has identified the missing ingredient that gives hair ice its peculiar shape. Biogeosciences (BG) has received the new DOAJ Seal which recognizes journals with an exceptionally high level of publishing standards and best practice. Thomson Reuters has published the latest Journal Citation Reports®. We are delighted to announce that the Impact Factor for Biogeosciences (BG) has risen in 2014. This ranks BG as 10 out of 175 journals in the field of Geosciences and as 25 out of 144 journals in the field of Ecology. We thank and congratulate all authors, editors and referees for their excellent work! Biogeosciences has introduced the post-discussion editor decision into the review process. With this extra step, the authors are given a clear formal indication on whether or not they are invited to submit a revised manuscript. Biogeosciences (BG) has become a member of the Committee on Publication Ethics (COPE) and thereby subscribes to the principles of COPE. From 01 January 2015 Biogeosciences (BG) will slightly increase the article processing charges. 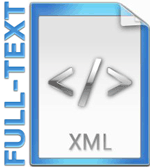 Biogeosciences (BG) has started an XML-first workflow and will provide all new articles in full-text XML from now on. We are very pleased to announce the 10th anniversary of Biogeosciences. BG has introduced transparent post-discussion review. BG has implemented publication ethics in order to guarantee high scientific and ethical standards. BG has just published its new data policy. The impact factor for Biogeosciences increased to 3.859 in 2011 confirming the ranking of Biogeosciences among the top geosciences and ecology journals. We are proud to announce again an increase of the impact factor for Biogeosciences reaching 3.587 for the year 2010. 02 Dec 2010 Biogeosciences, again among the top journals in the fields of Geosciences! We are pleased to announce the impact factor for Biogeosciences 3.246 for the year 2009. We are pleased to announce an increase of the impact factor for Biogeosciences to 3.445 for the year 2008. BG founding editor Paul G. Falkowski was elected to the US National Academy of Sciences. Eysenbach (2006) demonstrates that articles published as an immediate OA article on the journal site have higher impact than self-archived or otherwise openly accessible OA articles. David M. Karl, BG editor, was elected to the US National Academy of Sciences.